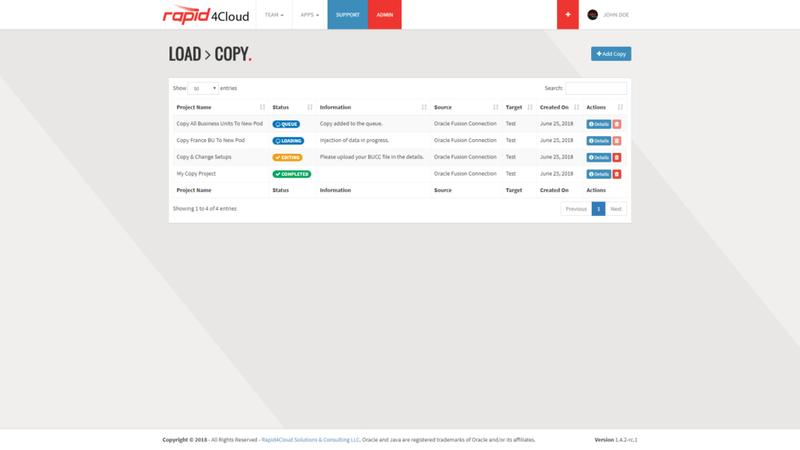 Copy for Oracle ERP Cloud. 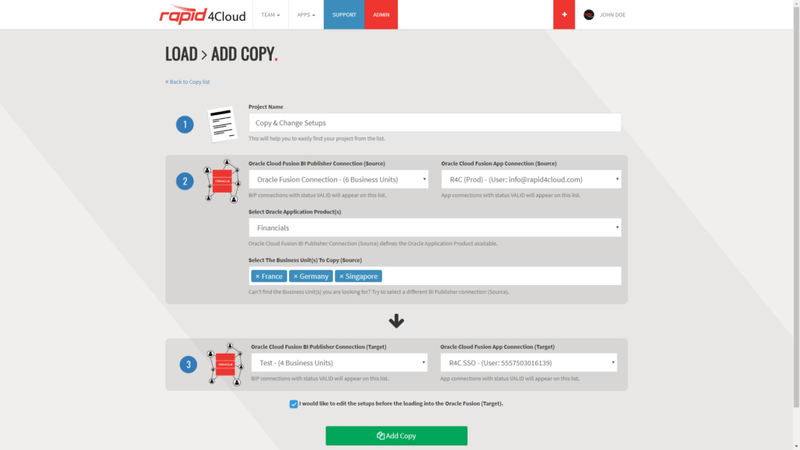 Copying Setup data from one instance to another. 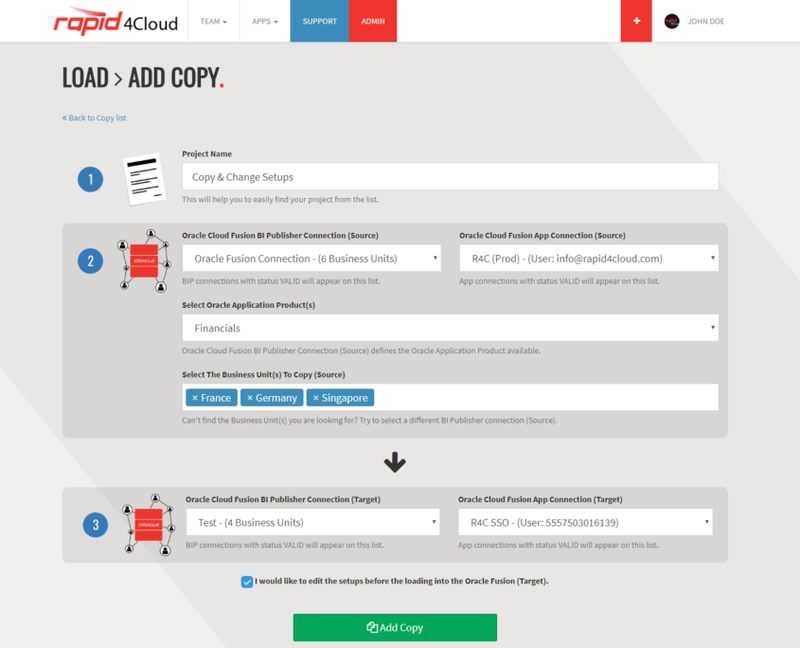 This couldn’t be made simpler, select your source and target instance and one or business units to be copied. Changes can be made before loading the setups to the target enabling you to clean up any invalid or unwanted setups. 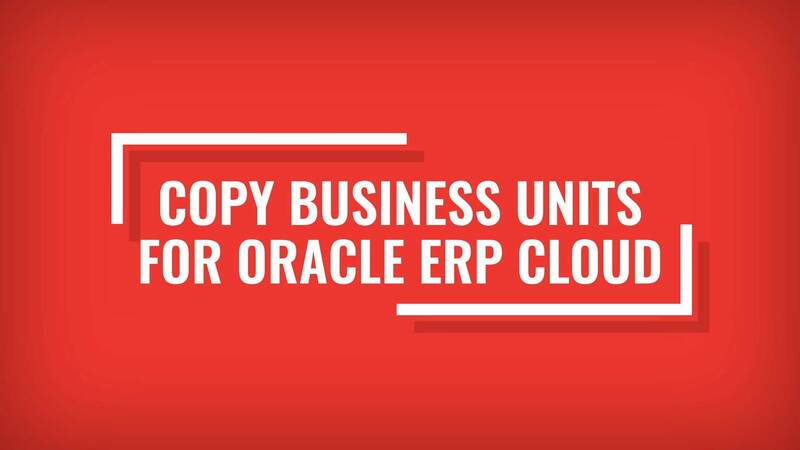 Copy one or multiple Oracle ERP Cloud business unit(s) from one page. Select the source then the target instance, and let our app do the work for you. 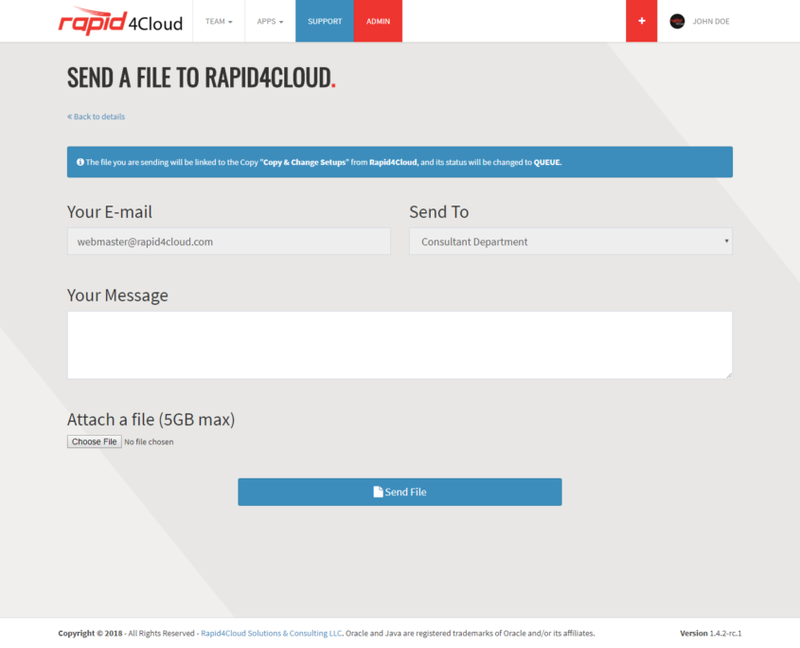 Our automated software can be used with an existing Oracle ERP Cloud instance or new one. 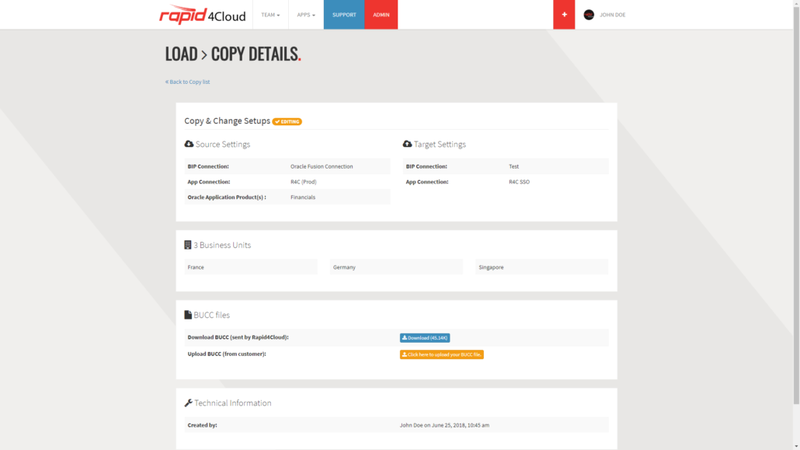 Advanced users can also customize Copy by editing the BR100 just before the injections. 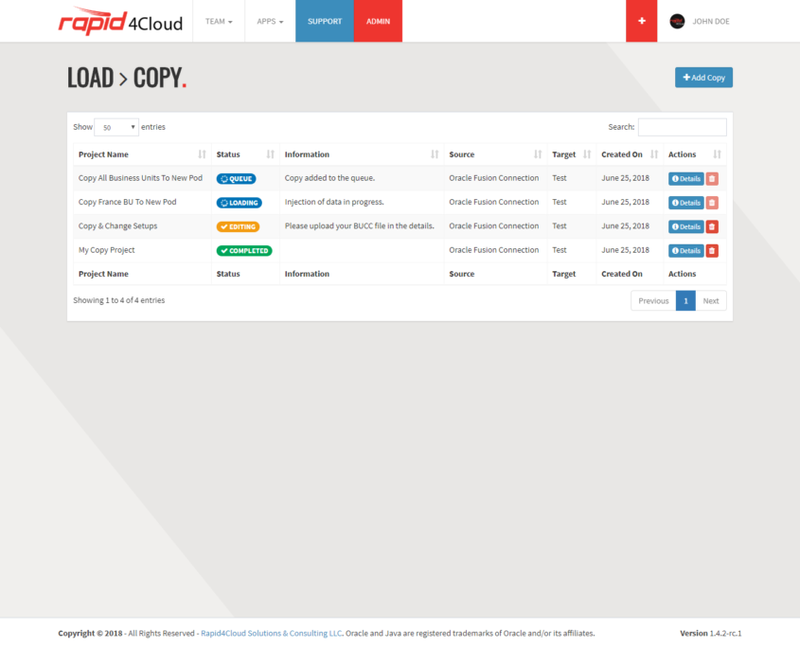 Copy essentially performs an export and import where you can select one or more business units. If you select all then it will assume that all instance level configurations are needed also. It will compare the setups between the source and the target and only the ones from the source that do not already exist in the target will be loaded. 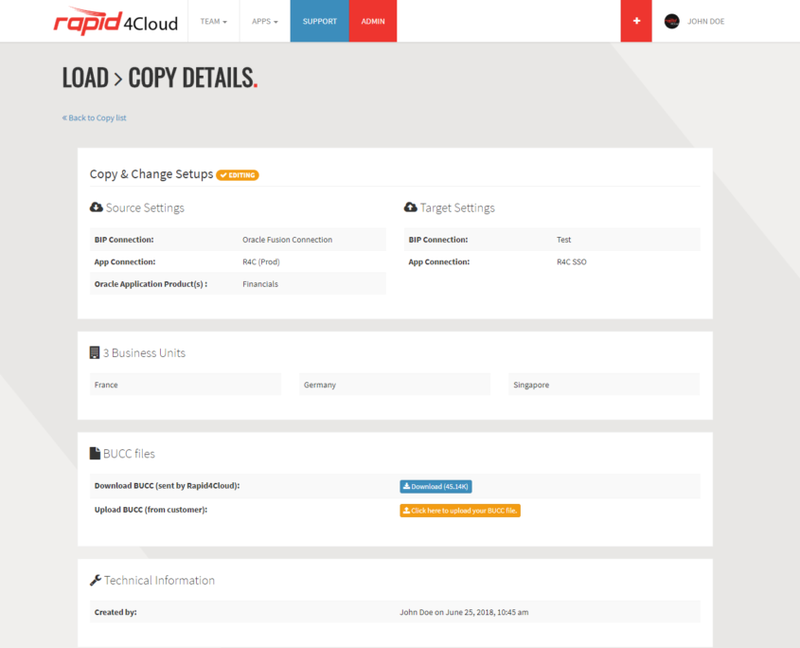 A selection of what products you want to be exported provide you with control over the modules to be copied. Each product consists of a scenario which contains what setups need to be exported. These scenarios can be customized if needed although it is not usual to need to do this as there is total control over what is loaded also. The load takes care of everything. It knows the dependencies, it takes care of the volume and will work out the most efficient load time. Once you click Add Copy the task will get under way and you can keep an eye on the progress from the screen. There may be a need to clean up some setups or make changes that would be difficult within the Oracle instance. On the selection screen simply request to edit the setups before being loaded and an excel report in BR100 format will be available for download. 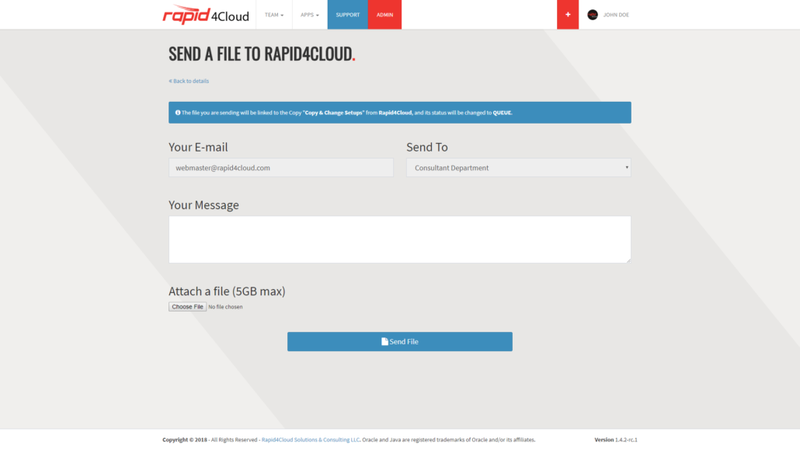 Make the required changes and upload the result. The software will review your changes and should there be no obvious errors the load to the target will commence.